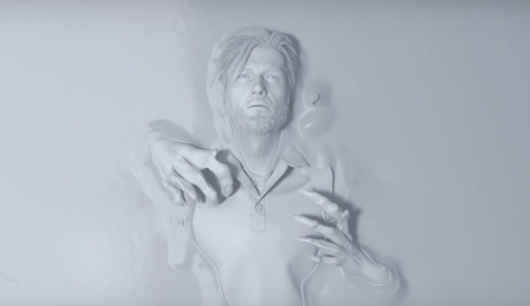 The Evil Within 2 picks up three years after the events of the first game, with Sebastian a broken man who’s lost everything including his daughter, who died in a horrific fire. While drinking the pain away, Sebastian is visited by a familiar face who’s seeking his help. The catch is that they’re there for his help whether he’s willing to offer it or not. But Sebastian doesn’t have much of a choice in the matter anyway, as he soon discovers that his daughter is actually alive. Or at least that is what those who have recruited his assistance are claiming. Before long, he finds himself attached to another STEM machine—a machine which sends you into a simulated world shared by all who are connected and where the dangers are still very much real, similar to what was seen in The Matrix—and transported to a place called Union. A place made to look like your typical small American town which, he’s told, his daughter is being used as the Core for. Let’s begin with why I haven’t played the first Evil Within, shall we? See, while I am a horror movie junkie and I watch a great many of them from all different sub-genres, I’ve never really been a huge fan of most horror video games. The reason for this is that in horror games, you’re often forced to do all of the stupid things people do in the movies. You have to investigate that noise you know you shouldn’t investigate. You have to open that door you know you shouldn’t be opening. You have to follow that body that just got dragged away by some hideous creature, because hey, there might be a collectible hiding in that room! It’s the only way to progress the game, in many cases. And these things usually lead to whatever the next scarepiece is, such as the despised jump scare or maybe a fight to the death with some awful beastie extracted directly from the deepest and darkest part of someone’s brain. Some would argue that, because of all of this, games can be much scarier than movies. And in some cases they might have an argument; the fear of a situation is indeed intensified when you’re in control of what the character is doing. I’ve certainly been startled many times with the horror games I have played, I won’t deny. I’ve just never found most of them as entertaining as watching movies. And that’s why going into The Evil Within 2 I didn’t know what to expect. All I really knew about it was that it was a survival horror game. I was curious to see if it would be jump scare overload as you moved from location to location, occasionally having to use weapons to defend yourself. Or if it would be more than that, with more to do and explore. I was pleased to discover that there was more to do than just walk forward. The beginning is fairly linear, but eventually it opens up and you have a map to navigate as you see fit. You have your primary objective but there are side quests to do if you want, and plenty to look for like ammo and crafting materials you’ll find especially useful, collectibles, computer terminals that transport you to other locations, and so on. Of course you can’t run around freely, frolicking cheerfully with a smile. This is a survival horror game, after all. And you will encounter things that wish to make you dead quite often. The more you play the more tools you’ll have to deal with these dangerous situations, including a variety of weapons. But depending on your difficulty level, ammo for these weapons is not exactly plentiful. You’ll have to scrounge up as much as you can find, and also use materials you find to craft the rest. Considering my feelings towards games like this, I tried to instead take a stealthy approach. I prefer this playstyle in most games that offer a stealth option anyway, so it made sense to try to make my way through attracting as little attention as possible. My efforts…did not go well. I was able to take out some enemies with stealth attacks—and taking out enemies is a great thing as it often yields the substance necessary for you to upgrade your skills—but I found myself forced into more combat situations than I would have preferred, and that was disappointing. The combat in The Evil Within 2 felt sluggish and clunky to me, and always ended one of two ways: with me having little to no ammo and health left, or with me dead. Then there’s the harder enemies. At one point I came across a seemingly vulnerable monster in my path, walking back and forth while making unsettling noises. I watched this thing for a good five minutes, making sure I had the timing down and building up the nerve to make my move. When the time came I moved in silently and buried my knife in its skull. Victory! Except no, that only made this particular monster scream and murder me immediately. Props to them for pulling a fast one on me, but it didn’t make the combat any less aggravating. Things gets easier as you progress, upgrade your skills, and find more ammo and crafting materials. And I’m sure those who are more familiar with these types of games are right at home with this type of combat. But I found it quite frustrating. Even having a good, reliable melee weapon early on would have helped a ton when I ran out of ammo, but melee for me basically boiled down to sloppily slapping demon people with my empty gun until they killed me. You can find extremely useful axes, but these sturdy axes inexplicably break after one use on an enemy. You can use them as much as you want to destroy wooden boxes and find helpful items, but one hit on a mushy enemy puts them down while also breaking the axe and your poor heart. These combat issues don’t make The Evil Within 2 a bad game, especially if it’s something that you’re used to. In fact, I feel like it’s a solid survival horror game, which fans of the genre will enjoy playing. It’s well-designed, with disturbing locations and many enemies to cross paths with who will haunt your dreams. It’s challenging. It has plenty to keep you busy. It’s also something, I can now say with complete confidence, is not for me. Some folks get a thrill out of the survival aspect, making the most out of the little they find to help aid them in fighting their way through a nightmare. And those very same folks will no doubt find their thrills here. For me personally, however, it’s all more frustrating than anything else, and can sometimes feel like a chore to play. Strange, considering how much I adore horror movies, but it’s the truth. Survival horror just isn’t my cup of tea.